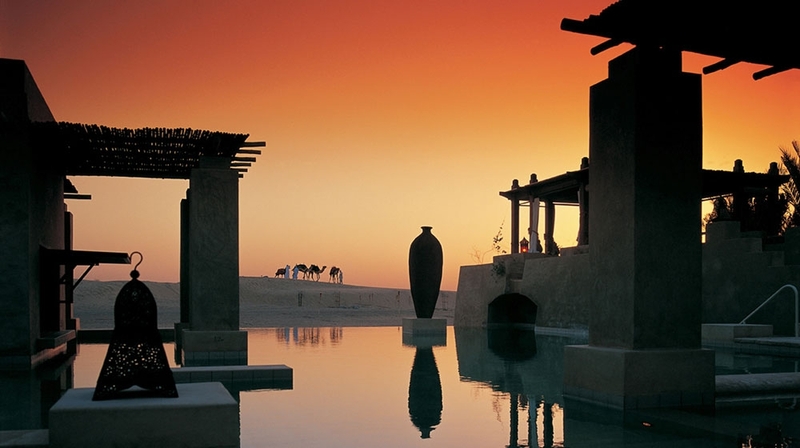 For those seeking a unique desert experience within easy reach of Dubai, Bab Al Shams Desert Resort & Spa presents the ideal destination. 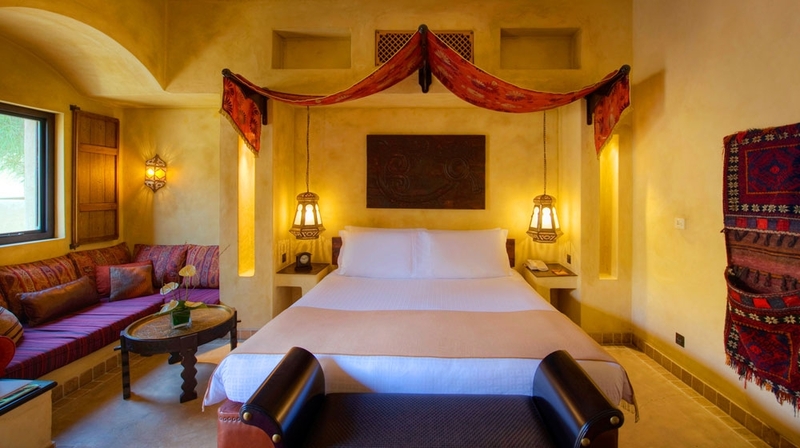 Offering the ultimate in comfort and entertainment, at Bab Al Shams Desert Resort & Spa your experience will be enhanced by history and magnificence. 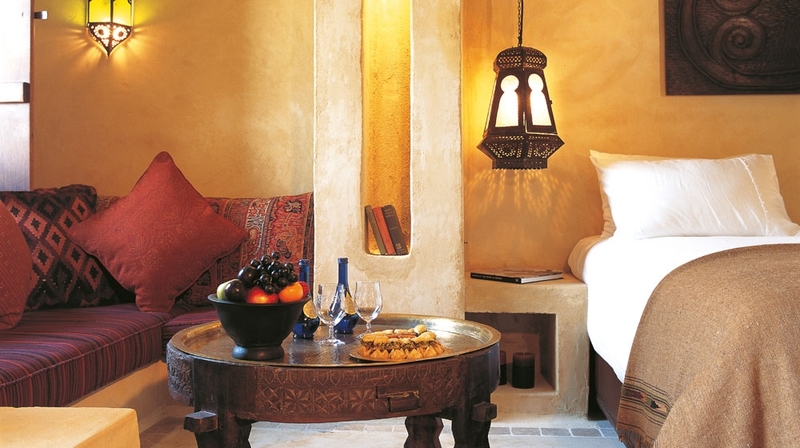 Delightfully traditional rooms offer both authenticity and all modern comforts with an area of approximately 37 sqm with a choice of desert or courtyard view, located on the upper (second) floor. Relax in the privacy of your very own sun terrace, dine alfresco or entertain in the sitting/living area. 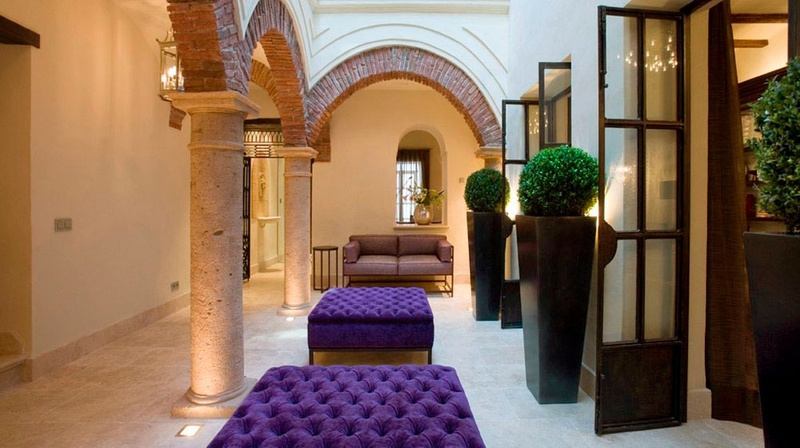 Our traditional Junior Suites with own private balcony or patio. They are set on the ground or upper floor. Whether you seek an intimate atmosphere for two or additional space for the family, the Deluxe Suite will exceed your expectations. 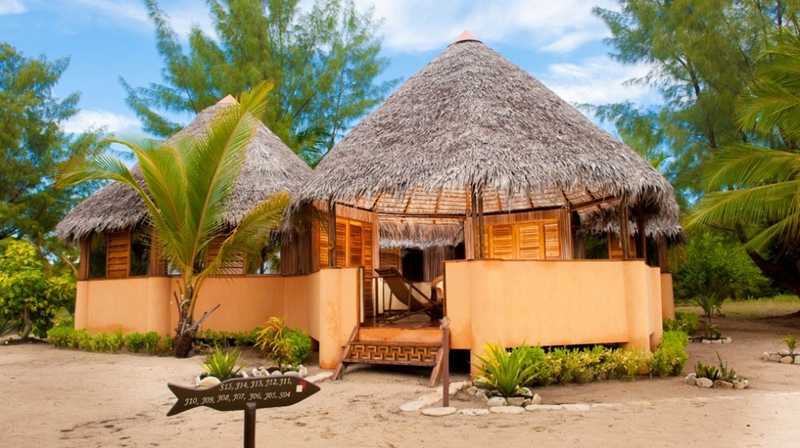 The Deluxe One Bedroom Suite with own private balcony or patio. Delightfully traditional suites with own private balcony or patio offer both authenticity and all modern comforts.Some feature a kitchenette. All Suite guests enjoy complimentary breakfast. Air conditioning, Spa, Business centre, Conference facilities, Disabled access, Private parking, Reception, Babysitting service, Airport transfer, Restaurant, WiFi. This luxury hotel reflects the culture and heritage of Dubai. 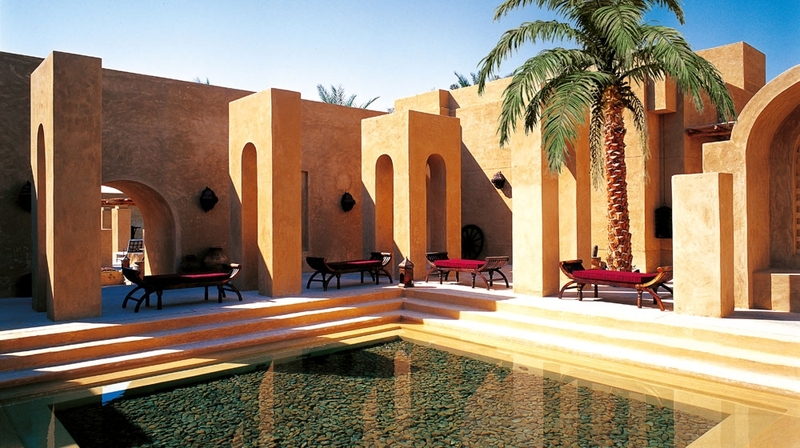 Guests can lounge by the hotel�s swimming pool or discover the desert on camel. 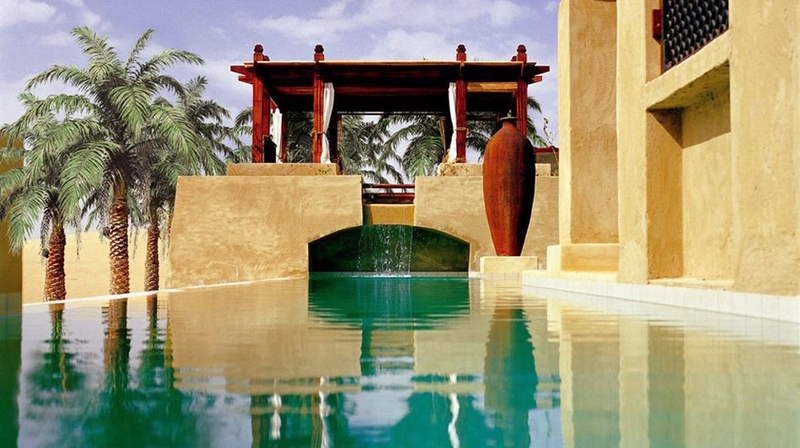 Escape to a space of opportunity, adventure and reflection with a stay at Bab Al Shams. 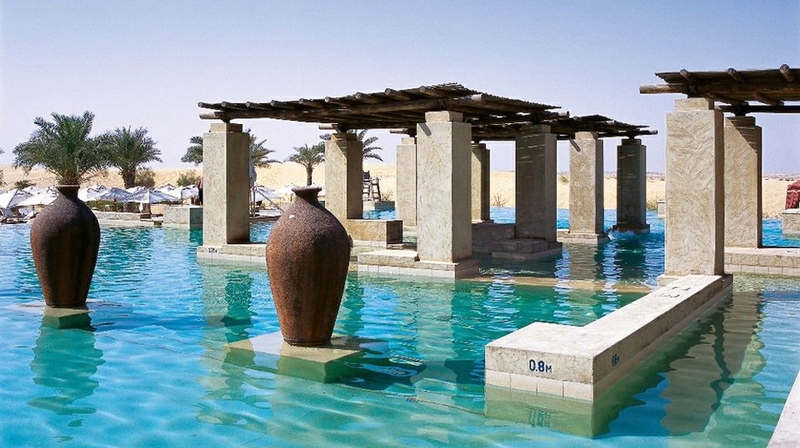 Ride through the desert by camel, crossing the sandy dunes before unwinding beside one of our cooling infinity pools. Watch the sunset and the stars emerge on our roof terrace and experience just how unique a stay in the desert can be. While the children are taken care of at the Kids Club, why not spend a little time on you. The Satori Spa offers treatments for the sole purpose of relaxation and rejuvenation in luxurious comfort. And our highly skilled therapists and masseurs know just how to make your cares fade away! 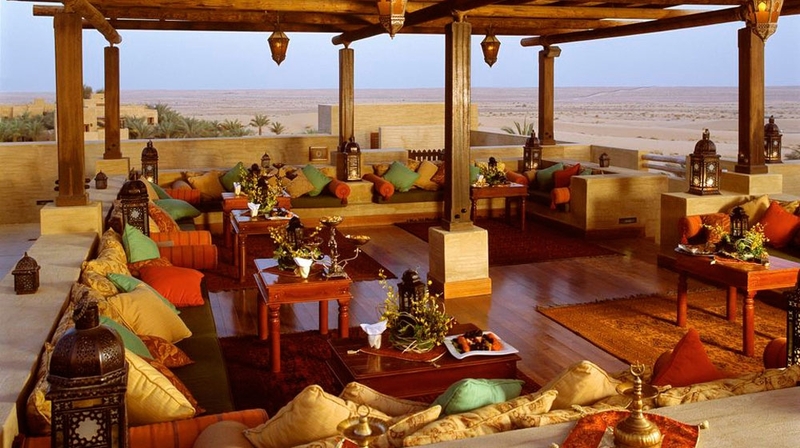 Your choices for dining at Bab Al Shams reflect world class standards in both cuisine and service. 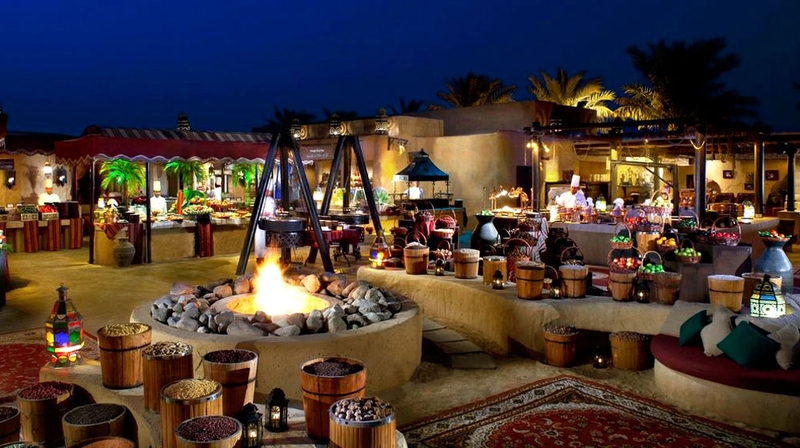 From traditional Arabic fare to slowly cooked Indian dishes, Bab Al Shams Desert Resort & Spa offers a range of exquisite dining experiences. The food, service and ambience at the resort's restaurants are a sure treat for your taste buds. Drinks can be enjoyed on the rooftop terrace bar, overlooking spectacular sunset vistas. 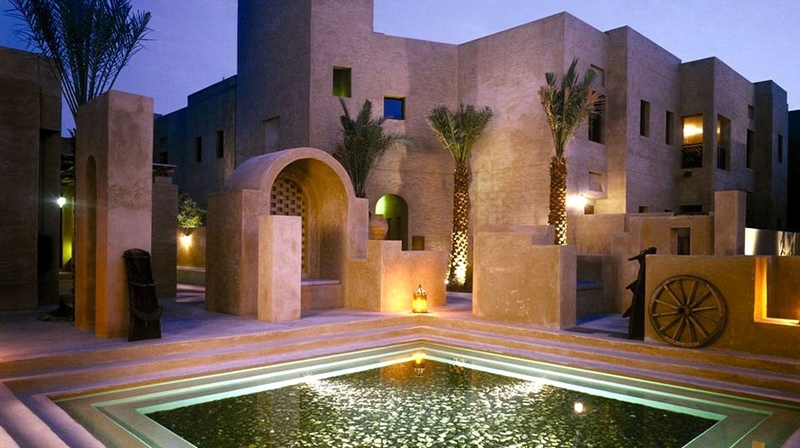 Bab Al Shams Desert Resort & Spa is a renowned sanctuary of traditional Arabian comfort. 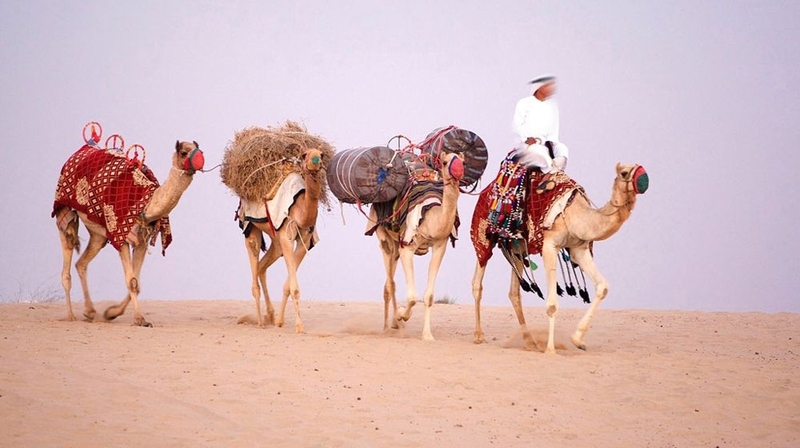 By Plane: Dubai Airport is a 45-minute drive away, and the hotel provides a shuttle service.